This course is for anybody who may be working in areas where Legionella bacteria may be present. 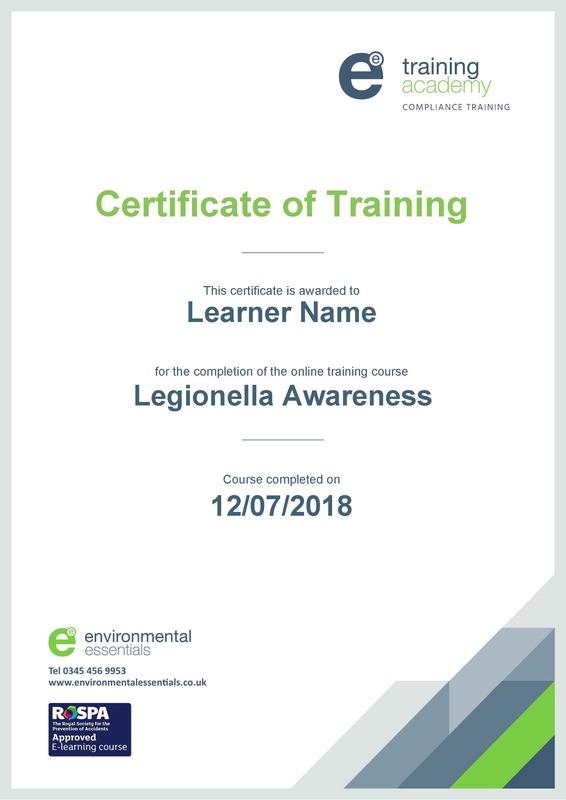 The course will help you to understand the risks associated with Legionella bacteria and will prepare you to work safely in areas where Legionella bacteria may be present. Having completed this course you will understand what the Legionella bacteria is and how to manage the risk to yourself and others.